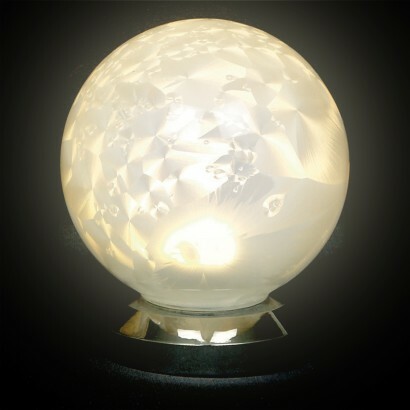 An ornamental decoration that fills with a warm white glow, the White Glass Ball Light adds a little extra to table decorations, bookcases, sideboards and more. 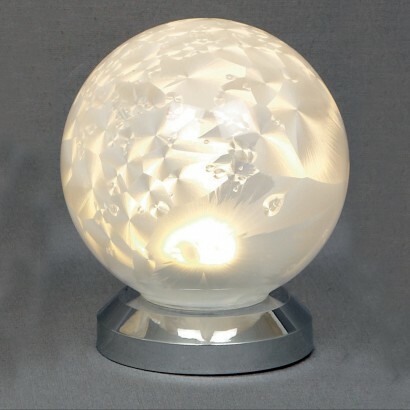 The patterned glass globe is made with white and matte glass to create a beautifully muted shade to three warm white LEDs resulting in a magical warm glow. Battery operated, this mini glass lamp can be placed anywhere in your home adding gentle mood lighting and a subtle, inviting glow. Bought a couple of these for my little girls 'Frozen' party. They looked lovely, and now she keeps them in her bedroom. Because they're battery operated she also plays with them in her tent when she has friends over.